Too busy to reach your full potential? Don’t sidestep your dreams – the right time for an EMBA is right now. Ambitious, forward-looking individuals are often chronically busy. Putting off personal development goals due to a jam-packed schedule may not be as rational as you think. If an EMBA is on your bucket list, today is a great day to rethink your timing. Sirkiä and Laukkanen emphasize that while practical business experience is extremely valuable, leaders need more than that to succeed. They explain that real learning only occurs when information about change is put into the right theoretical framework. Theoretical insight works like a lens that enables leaders to perceive the future, often quite clearly. Theoretical insight works like a lens that enables leaders to perceive the future, often quite clearly." Many of us lull ourselves into the illusion of a busy year. We like to think that being under pressure is not our normal state; things are simply extra hectic just now. “Maybe there is a big project at work this year? Perhaps this is an important year for the family? People who say this to themselves often think that they will have more time on their hands next year. They move their own personal development plans aside and decide to think about the EMBA later on. The problem with this thinking is that next year easily turns into a decade. By then it might be too late to invest in yourself and reach your full professional potential,” Laukkanen explains. Professionals who are busy today, will in all probability be busy in the future." Laukkanen and Sirkiä point out that professionals who are busy today, will in all probability be busy in the future. They are the kind of people who work hard to pursue goals. Outrunning a fast pace life is especially difficult for driven individuals. It’s simply who they are. “Let’s face it: you probably can’t change the pace. But with temporary sacrifices to your free time, and with careful time management, you can change what you spend your time on for the rest of your life. Getting the EMBA you have been thinking about will help you attain a much more meaningful career. You will still be busy, but you will be busy with more worthwhile challenges that you find invigorating and highly motivating,” Laukkanen encourages. "Our alumni all found the time; succeeded in balancing work, family and obtaining an EMBA. Many came to us at points in their careers when they were incredibly busy, and still they managed to accomplish their dream. 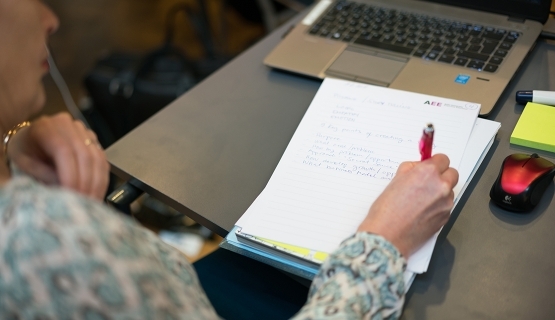 Our program naturally offers flexibility to executives, allowing them to combine their fast paced career and EMBA studies in an agile manner when necessary,” Sirkiä, Aalto MBA alumni herself, reassures. Laukkanen reminds that the EMBA is no walk in the park–but assures that it is an investment of time and money that pays off. Laukkanen and Sirkiä remind that the EMBA not only takes time, it gives you time. "Our students find that the paybacks start almost immediately at work. New tools and insights they get during the EMBA makes them more resourceful at work and helps them spend time wisely. They soon find they are getting more out of the hours they have at work,” Sirkiä promises. “Late nights at the office will get you ahead, but only to a point. The EMBA will help you climb the career ladder with one big leap. It’s a great stepping stone,” Laukkanen underscores. The Aalto EMBA alumni take a journey together that alters their perceptions for life." An EMBA transforms managers to leaders. The people who share this journey build a strong network and often become lifelong friends. A less established program will attract people with a different level of ambition than the most prestigious ones. Aalto Executive MBA is ranked in the global top 100 programs by the Financial Times. It holds the 'Triple Crown' of accreditations – AACSB, AMBA and EQUIS – a merit only 0.5% of the world's business schools has achieved. The Aalto EMBA alumni take a journey together that alters their perceptions for life. Few experiences build team spirit quite this strong. Learn more about Aalto EE's MBA programs. Currently reading: Aalto Leaders' Insight: Too busy to reach your full potential?